1. These tiny cannibals which will come for you next. 2. These little guys that look innocent but have a taste for torture and death. 3. This dark scene inspired by Calvin and Hobbes. 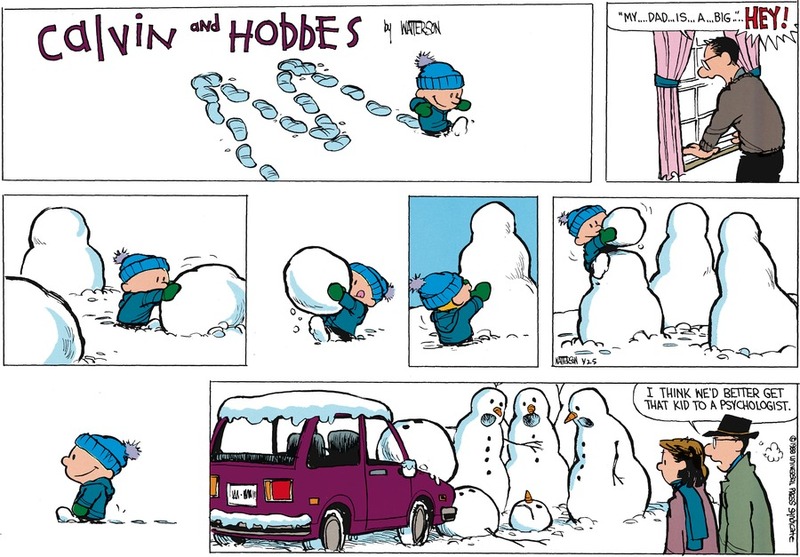 Truly, Calvin would be proud. 4. The snow has eyes. 5. Eyes which burn into your soul. 6. The racoon was just an appetiser. 7. This icy spirit, returned to avenge its death. 8. You have angered the snow gods, now you must pay. 9. These children were never seen again. 10. The banality of evil. 12. Imagine the cold, scratchy touch of his spiderlike hands on your neck in the darkness. 13. His head turns slowly when you turn your back. 14. The face it makes right before it kills you. 15. She wants you to go with her. Won't you go with her? She'll take care of you FOREVEEEER. 17. You can't unsee this.